While Apple charges their customer $100 for 16GB of storage, SanDisk releases the largest microSD card available on the market. 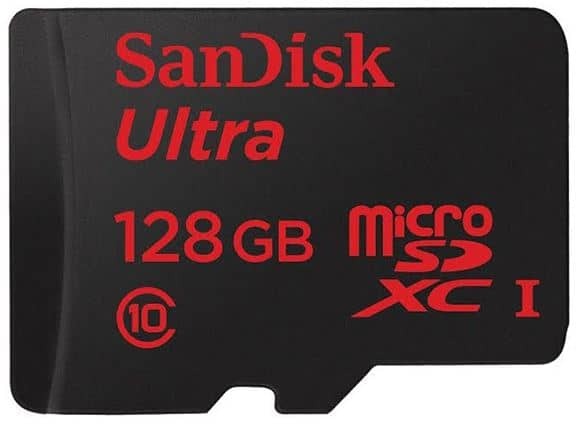 During the Mobile World Congress in Spain SanDisk announced its latest microSD card which holds up to 128GB of storage. The SanDisk Ultra microSDXC is twice as fast as previous microSD cards, is now waterproof, temperature-proof, X-ray-proof, and magnet-proof. This card is designed for any Android tablet or smartphone that supports the SDXC spec. For now, the 128GB microSD card is available on Amazon and Best Buy for $199. With this news, Apple might surprise their customers by dropping the 16GB iPhone and making the 32GB their entry-model.